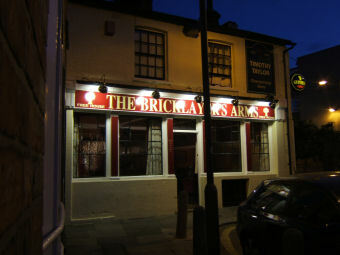 After a quick hike across London, we got to the Bricklayer's in time for a few swift halves before the football. This used to be a regular haunt for us. But, it seemed to go downhill for a while. It once again has a range of Timothy Taylor ales, along with some guests and a cider. 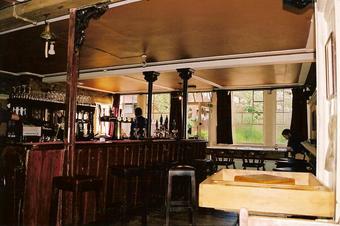 The interior has not changed that much and it seems to be under the same management. I also noticed that we were served in proper glasses this time, as oppose to plastic. So, that is an improvement. The pub has the same pleasant atmosphere where like-minded home and away football fans can mix quite happily and it was standing room only. 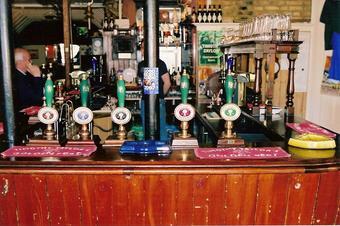 Timothy Taylor ales were Boltmaker, Dark Mild, Golden Best, Landlord & Ram Tam. Guests were Twickenham Grandstand & Naked Ladies, Wadworth Hop Stomper & IPA & Watney's Party Seven. The cider was Family Reserve. Still a decent pub. Yes, the toilets are a disgrace and the outside patio no longer exists. However, beer range focuses on Windsor & Eton, plus Twickenham breweries. You cant fault this beer range at all. Just at times the lack of it! Really good and their approach to beer seems to be novel in that they'll showcase a brewery or an area of the country's ales. On our visit, it was Twickenham that was represented and a fine set of brews they provided too, with friendly service thrown in to boot. The interior is also very nice although one suspects the back door was left open to conceal the smell from the loos. 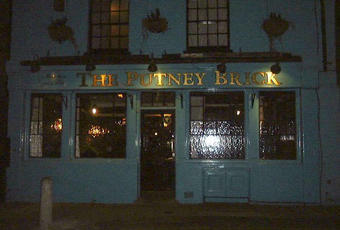 Pre & post Fulham games, this is still the best pub in Putney, providing there are enough beers on (not always the case). Desperately needs some TLC - fix the toilets, the leaking taps, more regular ales, draft cider/lager & bring the kitchen back into play. It wouldn't take much to ensure this place remains as the only traditional one left in Putney. Visited in late Spring on way to rugby - a Saturday lunchtime. Got there just after 12 noon to find chairs still on tables and floor wet from washing. Only one real beer on (north of 5%) and not even any keg craft beers. Hardly any lager on. Awful. Apparently the landlord was away for a few days - what sort of an excuse is that? Over the year's this place has got worse and worse at every visit. I won't go again. 2/10 for old time's sake.